Los Angeles, CA – May 6, 2015 – A new psychological drama, Butterflies of Bill Baker, starring Tony-nominee Will Chase (Nashville), Marin Hinkle (Madame Secretary), Sterling Jerins (The Conjuring, World War Z) and Zuzanna Szadkowski (Gossip Girl, Girls) is releasing May 8th on DVD and VOD, including iTunes, Amazon and Google Play. Produced by I Laugh I Cry Films, the film has been picked up by Running Bear Media for US distribution after a strong festival run. Winner of Best Narrative at the Manhattan Film Festival, the film follows Bill Baker, a kind, sensitive and content man who enjoys life's simple pleasures such as tilling his garden and admiring butterflies. Bill’s seemingly fulfilled life is disrupted by Pavornocturnus, a night terror disorder that can only be relieved with a unique, dangerous and mind-altering technology. After a meteoric rise from guest spot to star as Luke Wheeler on Nashville, Butterflies of Bill Baker is Will Chase’s first lead role in a feature film. “Sania (director) and Reema (producer) really assembled a great cast. And this is the first time I’ve been in a movie where I’ve literally been in every scene, so you really get to know the crew, as well. As far as Indie films go it was so professionally done and shot so beautifully,” says Chase. This marks the first feature film from the duo of Indian-born writer and director Sania Jhankar and producer Reema Dutt, both NYU alums. Founders of I Laugh I Cry Films, Jhankar and Dutt are paving the way for female filmmakers who are emerging in the indie space. They have several other features in development with the goal of creating original films that educate, inspire and share stories across cultures. Jhankar is looking forward to seeing the team's effort come to fruition. She says, "We faced a lot of challenges, but in the end, you see a beautiful story unfold through the outstanding performances of our cast and the great dedication of our crew. I think such dynamics really elevate indie films and we’re overjoyed to be able to release the it." 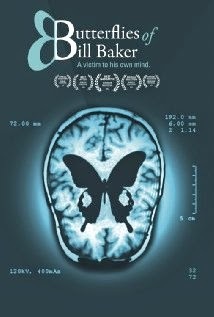 Watch Butterflies of Bill Baker on May 8th. Check out the DVD for special bonus features like behind-the-scene cast interviews and a full director’s commentary. About Running Bear Media - Running Bear Media is a contemporary distribution company focusing on the second half of the script to screen spectrum by shepherding and marketing projects from the time they have completed production to their exposure throughout the marketplace.